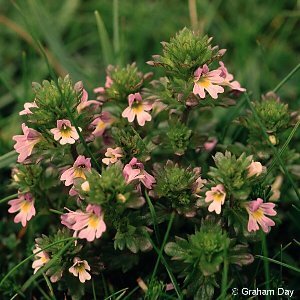 One of the easier eyebright species to identify; viewed from above the flowers and leaves are arranged in four rows along the stem. Common on cliffs, sand dunes etc. around the coast. 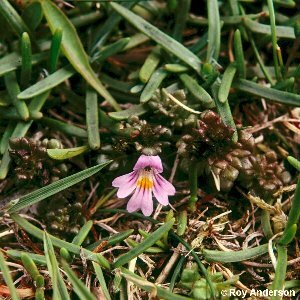 All names: Euphrasia tetraquetra (Breb.) Arrond. 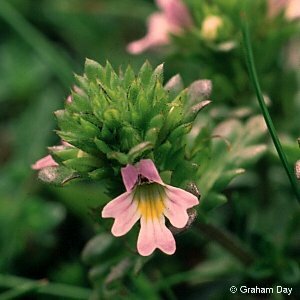 ; Euphrasia occidentalis Wettst. ; Euphrasia officianalis ssp. tetraquetra Breb.